The Milky Way on the Alps. 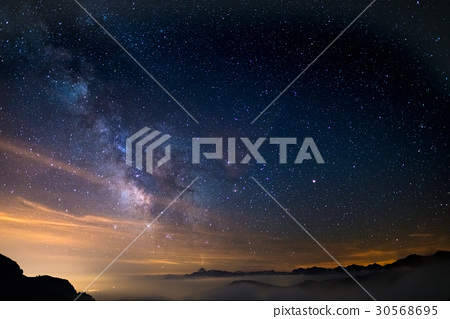 Stock Photo: The Milky Way on the Alps. The colorful glowing core of the Milky Way and the starry sky captured at high altitude in summertime on the Italian Alps, Torino Province. Mars and Saturn glowing mid frame.